Why is SPF so important? Make sure you have yours ready this Summer! Why is wearing suncream so important? Summer has arrived! It is now acceptable to eat an ice cream every day and to wear your summer clothes that have been shoved to the back of the wardrobe since last year – the holiday season has started! Every year we see and read articles about the British getting sun burnt, so we thought we would write a blog all about SPF and why you need to be using it, especially on your face! SPF stands for Sun Protection Factor, also known as sunscreen, sun cream or sunblock. You can purchase sun cream in oil, gel, cream and spray formula – they all do the same job! The purpose of sun cream is to protect the skin from UV rays. It’s so important to make sure you have SPF on when the sun is out to protect your skin – once the skin is sun damaged it is irreversible and can lead to cancer. Why is it so important to wear sun cream? It helps protect your skin from the strong UV rays, which sadly age your skin. Wearing SPF daily can help prevent any damage, so to be extra cautious we advise wearing factor 30 or higher. Studies have shown that not wearing sun cream can lead to burning the skin, which in turn can increase the chances of skin cancer. Being burnt is not in anyway cool or fashionable, so we cannot stress enough how important it is to apply onto your skin! Where does SPF go in your skin routine? SPF is extremely important to feature in your skin care routine. Even if it isn’t sunny and hot, the sun is still there and it’s UV rays can still damage your skin. To prevent your skin becoming damaged by the sun, make sure to apply your sun cream first thing in the morning. We recommend after you have completed your morning skin care routine to cleanse, tone, serum, moisturise, then apply your SPF. Leave a few minutes to soak in and then apply makeup as you normally would. Where can I get some high-quality sun cream from? There are lots of different types of sun cream on the market, and at our beauty salons we stock a few different sun creams to fit within budget. 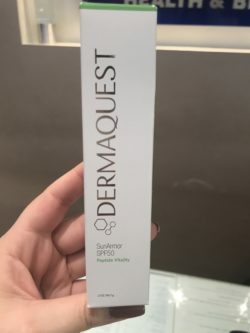 Rush Beauty Croydon is a big fan of Dermaquest, and stock their skincare range including sun cream. Dermaquest is well known for its premium skin care products, that are highly effective for anti-aging. There is a wide range of products, which is why it is such a great brand, because there is something for everyone. 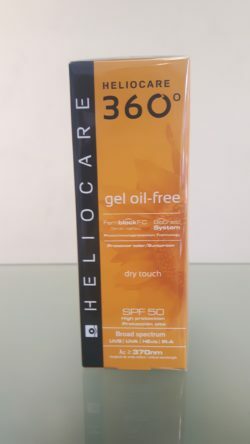 Beauty Windsor and Sutton sell Heliocare which is another really great range to try! Heliocare contains a natural fern extract, Fernblock. It is actually unique to Heliocare and is gentle on the skin. Now you all know where to get your sun cream. You have no excuse, make sure stock up on sun cream before your holidays! What do our Beauty Therapists recommend? So, now you know why you need to be wearing suncream, where to purchase the very best SPF and what our therapists recommend so there is no excuse! Find your nearest Rush Beauty salon today or simply give them a call and pop in to collect your newest addition to your skincare collection! All of our Rush beauty salons are easily accessible and all located near to train and bus stations so it makes it even easier to get to us. Alternatively, if you have just returned from your summer holiday and your skin needs reviving, then pop in to see us. Our therapists would be more than happy to help you get your skin back to where it needs to be! Choose from a relaxing Elemis or Guinot facial or a luxurious massage – the choices are endless.